Baby teeth matter. Baby teeth are very important and need to be protected from tooth decay early in life. Children who have early tooth decay or lose teeth too soon have more dental problems in their adult teeth. Tooth decay is very preventable. Toothpaste: Use toothpaste that contains fluoride. Twice daily brushing with fluoride toothpaste protects teeth from tooth decay. 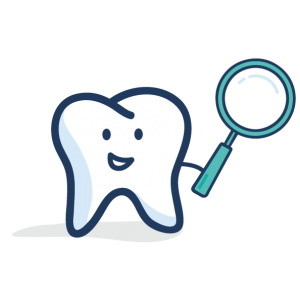 Fluoride Varnish: Have a medical doctor, dentist, dental hygienist or nurse apply fluoride varnish to your child’s teeth to help prevent tooth decay and even reverse early tooth decay. Diet: Serve healthy foods and avoid sugary drinks and snacks. Dental Checkups: Have a medical doctor or dentist check your child’s teeth by age one and then on an on-going basis. As a parent, one of your jobs is to stop tooth decay in its tracks. Good care at home and fluoride varnish from the medical doctor or dentist are important ways to prevent tooth decay.